I love orange flavoured bakes. It has a wake me up effect. 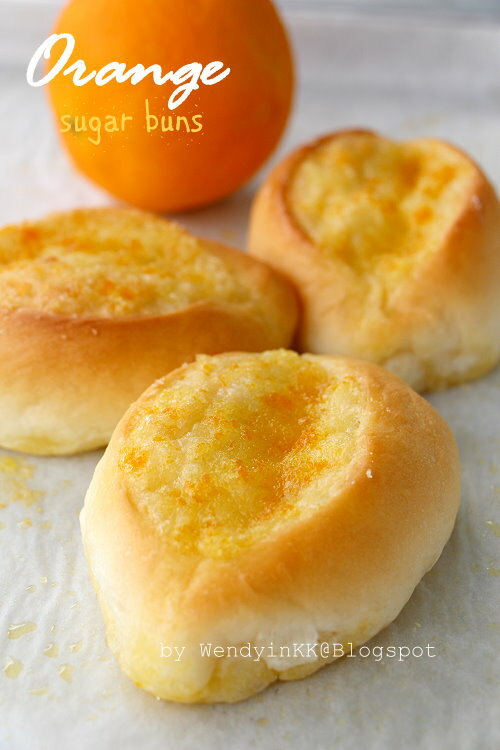 My kids love butter sugar buns, so I made the usual butter sugar bun into an orange sugar bun. 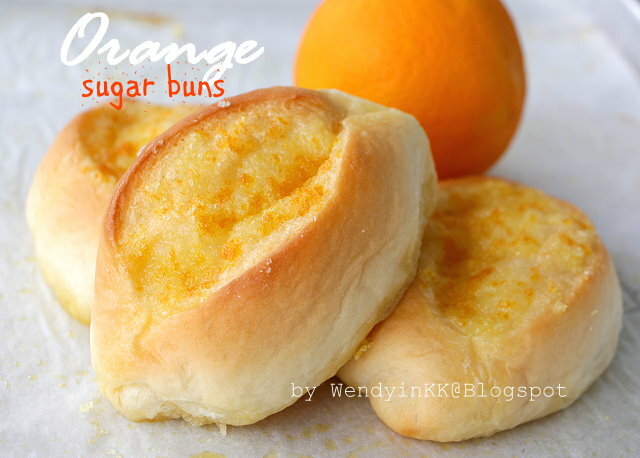 You can use your favourite basic bun recipe and mix the sugar with some orange zest to get the same effect. 2. Add in orange juice and water and knead until a dough forms. 3. Add in butter and continue to knead until the dough is smooth and shiny. I used Kitchenaid Speed #3 for 15 minutes. 4. Cover the dough and let it proof for one hour or until doubled. 5. Deflate dough and divide dough into 12 portions, weighing around 45-48grams each. 7. Roll flat each piece long like a tongue with one end slightly wider than the other. From the narrow end, roll up the dough. Roll the formed dough to seal the ends, creating tapered sides like a long lemon. 8. Place formed dough onto a greased baking pan (or lined with non stick baking paper), making sure there is ample space for the dough to expand. 9. Let formed dough proof in the cold oven for 45 minutes to an hour, until the dough has doubled. 10. Remove the formed dough from the cold oven, and preheat the oven at 170C. 11. With a very sharp knife, cut a slit (about 1.5cm deep) in the dough. 12. Mix orange zest with the sugar. Stir it vigorously to release the orange oil onto the sugar. Once the sugar takes on an orange hue, spoon the sugar into the slits of the dough. Place a strip of butter into the slit. 13. Bake for 12 minutes or until it reaches the colour of your preference. 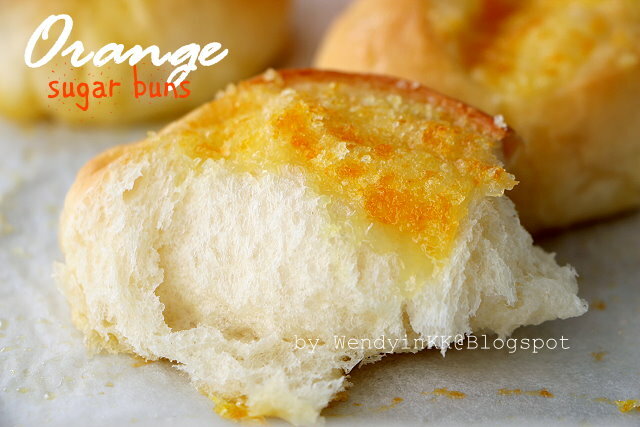 If I want to make plain butter buns can I replace the orange juice with water? This looks easy and delicious. Can't wait to experiment this.